“LAND2 is a national network of artist / lecturers and research students with an interest in landscape / place-oriented art practice”. In 2003 I was a visiting lecturer in photography at the University of the West of England and was invited to become a member of LAND2, which was based at UWE. I took part in the Bridges postcard project in 2003 and produced this montage image of a landmark bridge in my home territory – the Avonmouth Bridge that carries the M5 across the Avon. The project (see description from LAND2 website below) involved two people producing a pair of postcards on the theme of the word bridge. I teamed up with Peter Milner, my partner, for this project whose postcard you can see here. 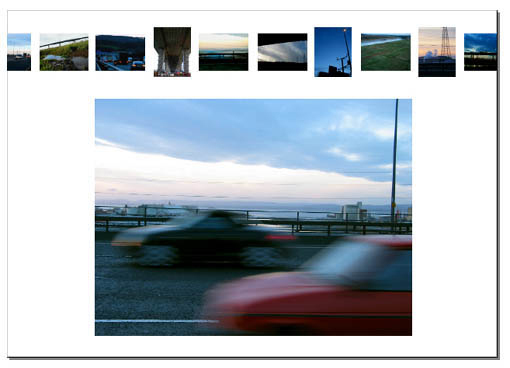 Bridges is a publication / exhibition project where each member of LAND2 was invited to provide a ‘postcard’ comprising an image and, if appropriate, a text and to invite a friend to join them in doing the same. The aim is to gather together a set of diverse visual images and texts related to the word ‘bridge’ as a means of indicating what that word evokes to a broad range of individuals – not all of whom are visual artists by profession. The resulting works was published in a limited edition box set and was exhibited in Bristol. Bridges was devised and edited by Iain Biggs, designed by iSophia and published by Wild Conversations Press for LAND2 (ISBN 1-902595-07-6). 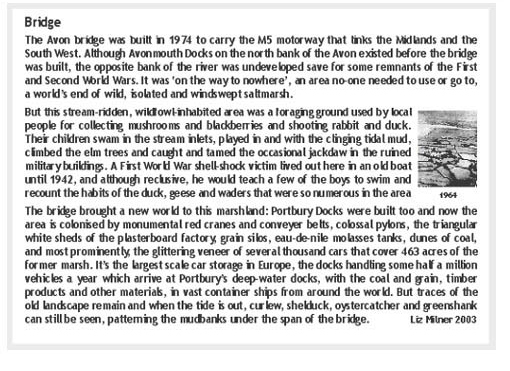 This entry was posted in Artist's books, Exhibited work, Personal Arts Projects, Place and tagged bridge, M5, North Somerset, River Avon. Bookmark the permalink.